Dental implant placement is a great way to replace missing teeth, but it can be a fairly invasive procedure and involves a surgical component. Subsequently, it is important to find the right dental professional to perform your dental implant placement. Essentially, there are three different providers of dental implant placement, which include dentists (general or cosmetic), oral surgeons and periodontists. By having a full understanding of what these titles mean, it can help anyone looking for dental implant placement to make the right decision as to who should perform the surgery. Although each professional has a high success rate for dental implant placement, one may be preferable to another in certain situations. Dentists are likely to be the ones who determine whether a dental implant placement is needed. General dentists are beginning to recommend dental implant placement more and more, over other options such as partial or complete dentures. Cosmetic dentists are mainly focused on improving the beauty of an individual's smile, which means they are also highly likely to recommend dental implant placement, which looks much more natural than other teeth replacement options. Most dentists are trained to perform dental implant placement and may be able to complete the operation without a third party being needed. However, dentists may be less trained than an oral surgeon or a periodontist when it comes to performing dental implant placement. An oral surgeon is likely the safest option for dental implant placement, as they specialize in oral surgery. Therefore, anyone who is wary about the operation can feel assured that they are in good care by having an oral surgeon perform the operation. If a bone grafting is needed before the implants are fused into the jawbone, an oral surgeon is very likely going to be needed, as they are more trained in bone grafting operations than dentist and periodontists. With that said, there is not always a need for an oral surgeon, as the operation is fairly simple. In many instances, practicing dentists are oral surgeons as well. To determine whether an oral surgeon is needed for dental implant placement, be sure to discuss all options with a dentist. The process of placing a dental implant involves going into the gums and fusing the implant into the jawbone. Subsequently, periodontists, who specialize in the supporting structures of teeth, are generally highly capable of carrying out a dental implant placement without any complications. 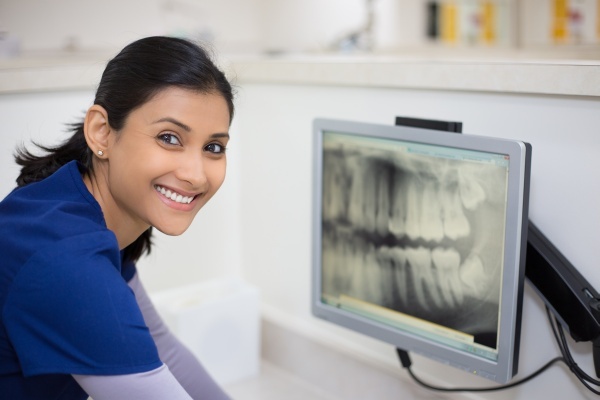 Since periodontists typically have more specific schooling as pertains to dental implant placement, in some cases, they might be needed to assist with the operation, rather than a dentist carrying it out by themselves. In most instances, a dentist is likely to be able to complete the dental implant placement without any trouble or any increased risk, saving you time and money from scheduling an appointment with an oral surgeon or periodontist. If an oral surgeon or periodontist is needed, however, the dentist should be able to walk you through the process and provider aftercare following the surgical procedure. Are you considering dental implant placement in the Cleburne area? Get more dental implant placement information at http://www.nolanriverdentalcenter.com. Check out what others are saying about our dental services on Yelp: Implant Dentist.